It's time to get wild, baby! Celebrating a Bachelorette, Bar Mitzvah, Birthday, Graduation, or want to spice up your family Christmas dinner? 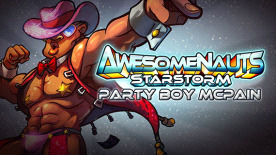 No matter the occasion, you can hire Party Boy McPain for your next event. Anytime... Anywhere... Saddle up!